What gives a college town its flavor? Sure, the student body and academics play a tiny role, but at the end of the day, college kids just want to get their grub on. The students of Berkeley know exactly where to do that. When I get my late night super fat Gypsy’s calzone, I’m still full the next morning. 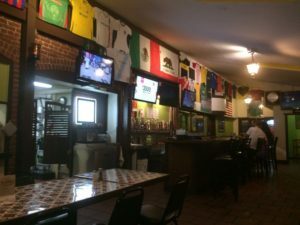 The food is so good it makes me want to shout, “mamma mia!” The Italian restaurant is conveniently placed in the social hub Durant Food Court (colloquially known as the Asian Ghetto).“I love Gypsy’s! I try a new pasta every time I go and I have yet to be disappointed. Also, they give you garlic bread and I love garlic bread,” economics sophomore Jamie Duncan said. You can get your food, go outside in the courtyard and enjoy your Italian meal under the stars. This romantic setting, plus the prospect of meeting lips with a special someone at the middle of a mutually slurped string of spaghetti makes Gypsy’s a hot spot for college kids looking for love. Only those with a stomach of steel may enter here. Prepare to experience a feast from the East that will blow your mind. “Super cool place. 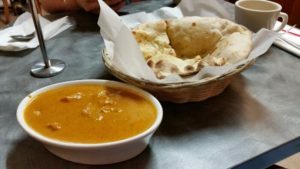 I get the chana masala with garlic naan. If you ask for spicy, they do not hold back,” English and cognitive science sophomore Taylor Osman said. And if you need to extinguish your red hot tongue, munch on their fluffy naan and you’ll be just fine. “My very first time to Sliver, Missy Franklin was in front of me in line, so I knew it had to be good. You feel all chill and trendy at this restaurant while also stuffing your face with pizza — it’s a total win-win,” cognitive science junior Stacy Kellner said. If four-time Olympic gold medalist Missy Franklin stops at Sliver to fuel up, you can bet your time at this pizza joint will go swimmingly. However, there’s a catch; they only serve one specialized type of pizza a day. On Monday they might serve a roasted potato and mushroom pizza and on Tuesday you could get a corn and zucchini pizza. You can bet that no matter the day or the special, your slice of pizza will be a little slice of heaven. To top it off, there’s live music to accompany the cheesy delight. 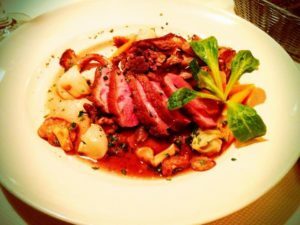 If you slay your finals, your parents might just treat you to Chez Panisse for some grade-A fine dining. “When I was a student at Cal, Chez Panisse was the fancy place ‘grown ups’ went to. It’s still a fancy place, but now I’m a grown up that can take my college student for a celebratory meal,” political science alum Lynn Alvarez said. 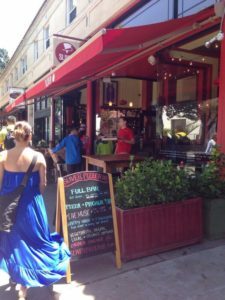 Famous chef Alice Waters opened the restaurant in 1971, and it’s been a staple of Berkeley’s cuisine ever since. But if you’re on a college budget that’s only suited for Cup of Noodles and Chex Mix, don’t look to be eating at this pricy establishment more than once in a blue moon. “Perhaps the most cramped corner of all spaces on campus, Kingpin offers the finest in dough-cuisine. Whether you’re looking for something to satisfy your sweet tooth or struggling to get through midterms, Kingpin is the place to go,” political science sophomore Max Seltzer said. This place is a munchies Mecca; intoxicated college students stumble their way from all reaches of Berkeley to get their glazed fix. 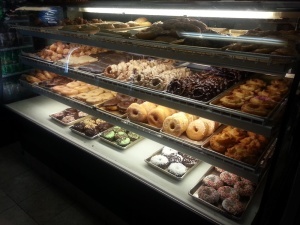 Be warned: the apple fritter is so rich you’ll need to loosen your belt a few notches after taking it on. 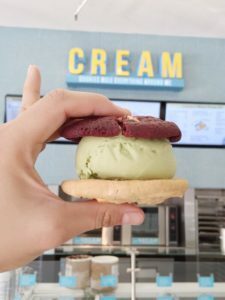 Cream perfectly engineers their ice cream sandwiches so the cookies fit snugly over the scoop of ice cream. There is no danger of your precious ice cream squirting out the other end. “I love making weird combinations with the cookies and ice creams. Even waiting in the long line is always worth it,” computer science sophomore Allyson O’Malley said. If you ever go to Cream and there isn’t a line that stretches a few blocks, it’s probably a sign of the apocalypse. Taco Tuesday is, officially, a day of the week for discounted tacos at Remy’s. But off the record, it’s really just an excuse for goin’ up on a Tuesday. “Remy’s is the default place to be on a Tuesday night. It can get frustratingly crowded, but that’s part of its charm. It’s a great place to break up your week and sit down with a few friends over a pitcher of beer,” biology and business sophomore Charlotte Jamar said. Good luck muscling your way through hordes of frat and srat stars on your way towards a tasty beverage. If you’re lucky, you may even hear everyone break out into a taco-fuelled version of Cal’s bizarre drinking song. Two of the world’s greatest pleasures, delicious hoagies and video games, come together to form the best sandwich place the Bay Area has to offer. “I love Montague’s. 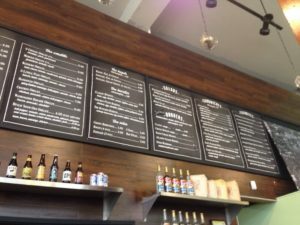 Price-wise, the sandwiches are the largest, freshest, and best tasting deal in the Berkeley area. 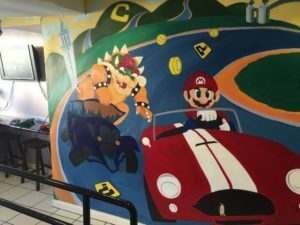 Also, nothing beats playing some classic Mario Kart while waiting for your food,” pre-business freshman Liam Shaw said. If you want the optimal sandwich eating experience at Montague’s, I highly recommend getting roast beef smack dab in the middle of two scrumptious pieces of Dutch crunch bread. It’ll hit the spot after you work up an appetite racing across Mushroom City. 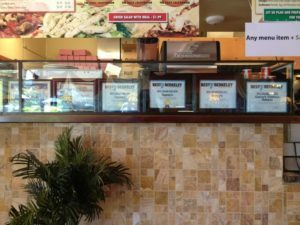 Berkeley’s favorite antiestablishment hot dog joint brings home first prize. “Nothing beats eating a hot dog from Top Dog at 2 in the morning,” economics sophomore Larry Zhou said. 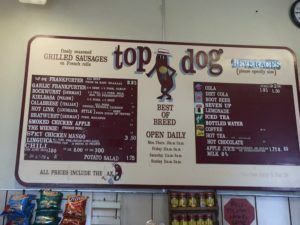 The political quotes lining the walls, the chefs with gnarly tattoos and the unreal awesomeness of their chicken apple sausage are all reasons why Top Dog tops the list. Not only that, but this little haven on the corner of Durant and Bowditch is inextricably woven into Berkeley’s culture. Top Dog, we wouldn’t be the same without you, babe. Dano Nissen is a sophomore English major at UC Berkeley. He enjoys listening to Pearl Jam and watching The Simpsons.